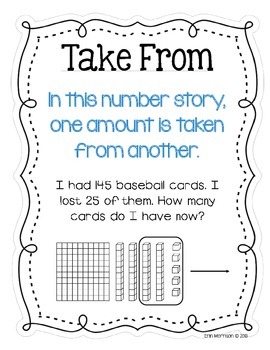 These posters explain each type of number story as explained in the Common Core standards- add to, take from, put together, take apart, and compare. 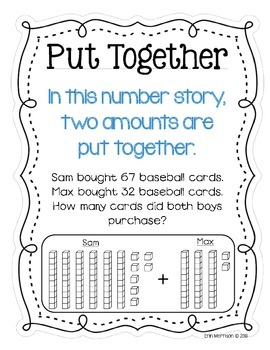 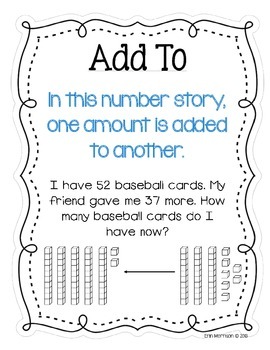 When teaching your students how to solve number stories, it is very helpful to be explicit in the 5 types of number stories and how to solve them (addition or subtraction). 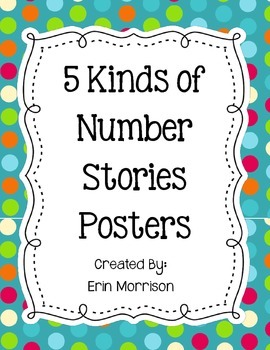 Each of these posters includes a definition, example of the number story, and a visual represented with base 10 blocks.